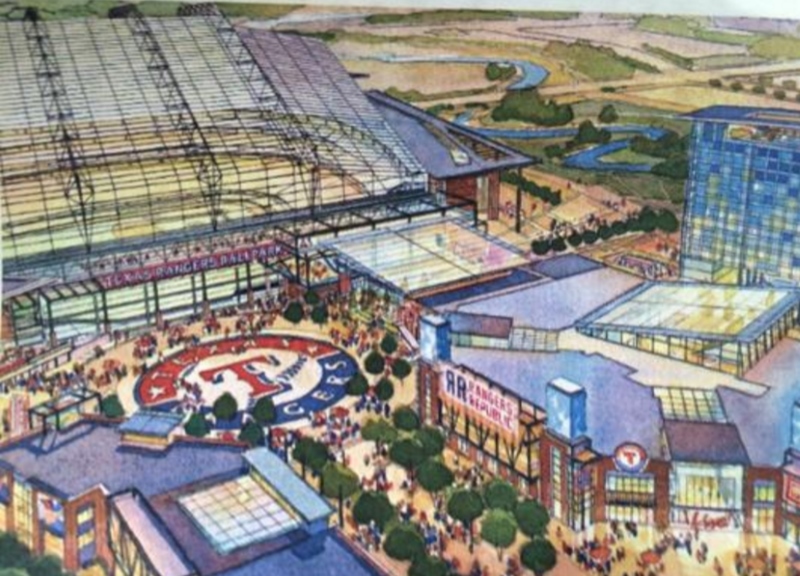 What You Need To Know About The Texas Rangers’ New Retractable Roof Stadium In Arlington. Remember all those articles last fall making the case that, with the Texas Rangers’ current lease in Arlington expiring in 2024, we could maybe lure the team to Dallas? We kind of laughed them off at the time, but in a press conference earlier today announcing plans to build a new $900 million retractable roof stadium in Arlington, it was said that the threat of leaving town was indeed the catalyst for the deal. To that end, Arlington Mayor Jeff Williams at one point cited a potential $2.5 billion loss to the local economy were the team to relocate. • Voters would still have to approve a half-cent sales tax in November for the deal to move forward. It’s not a new tax or a tax increase, however. Voters approved a tax back in 2004 to help pay for AT&T Stadium, and the new vote would simply be to keep that tax at the current level. • Similar to the deal they made with Jerry Jones, the City of Arlington’s responsibility would be capped at $500 million even if the stadium goes over budget. • Construction could begin as early as 2017, and the team could start playing games in the new stadium as soon as April 2021. • The new lease agreement would keep the team in Arlington through 2054. 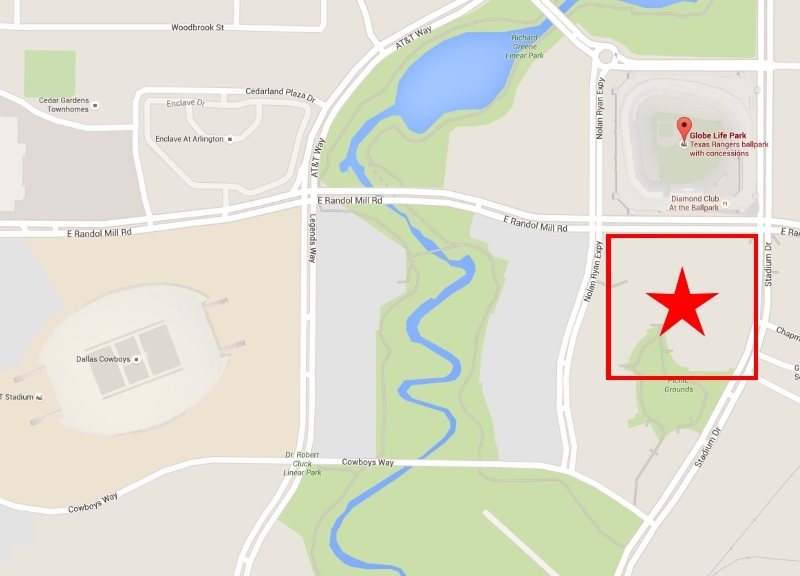 • The new stadium would be located just across Randol Mill from Globe Life Park, in what is now Parking Lot B (see above).